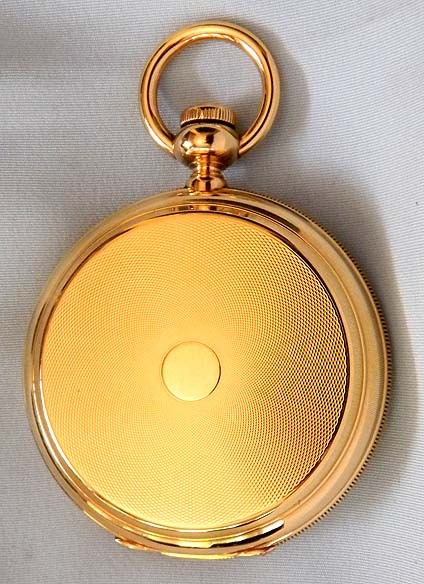 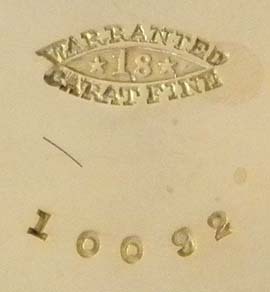 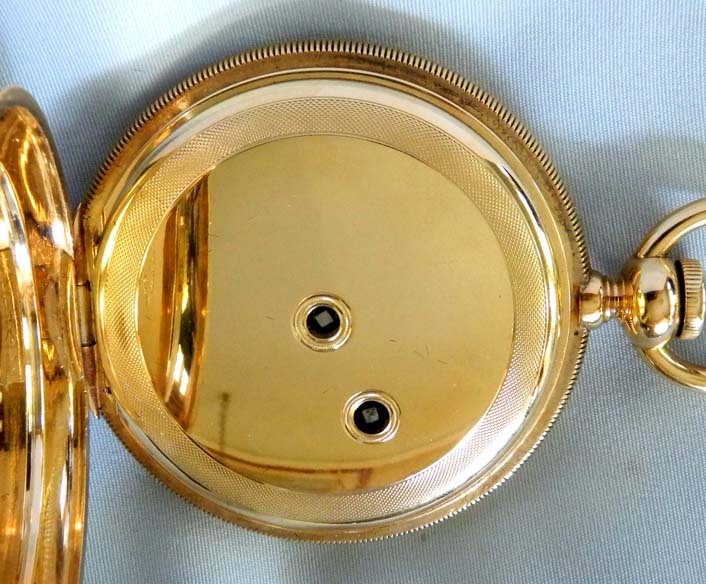 Fine 18K gold New York Watch Co. 18K gold antique pocket watch circa 1869. 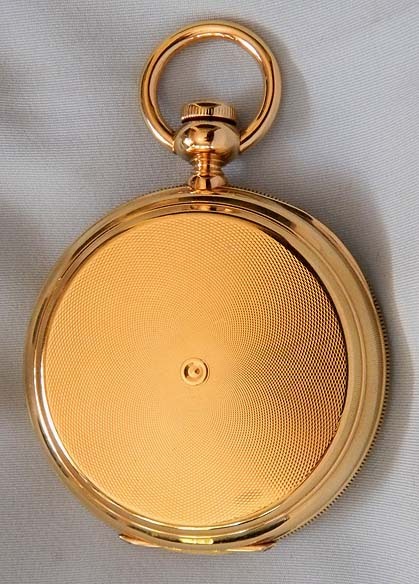 Heavy engine turned case. 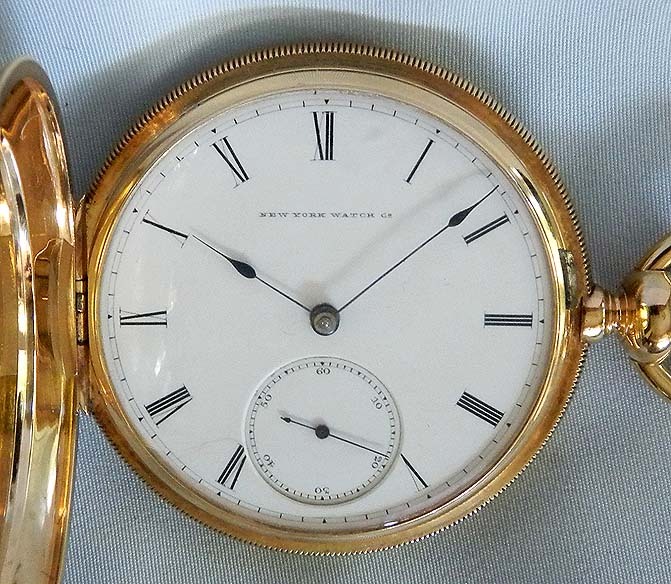 White enamel dial with several clean hairlines. 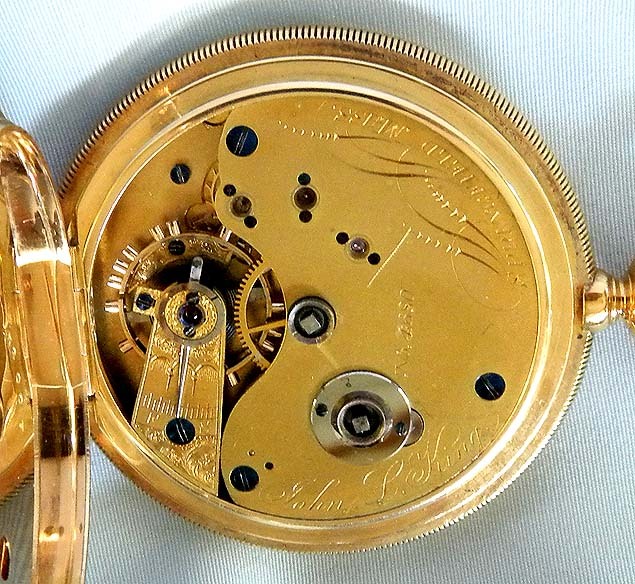 Scarce John L. King gilt 3/4 plate 15 jewel movement.